Steve Goddard and Rich Claussen. 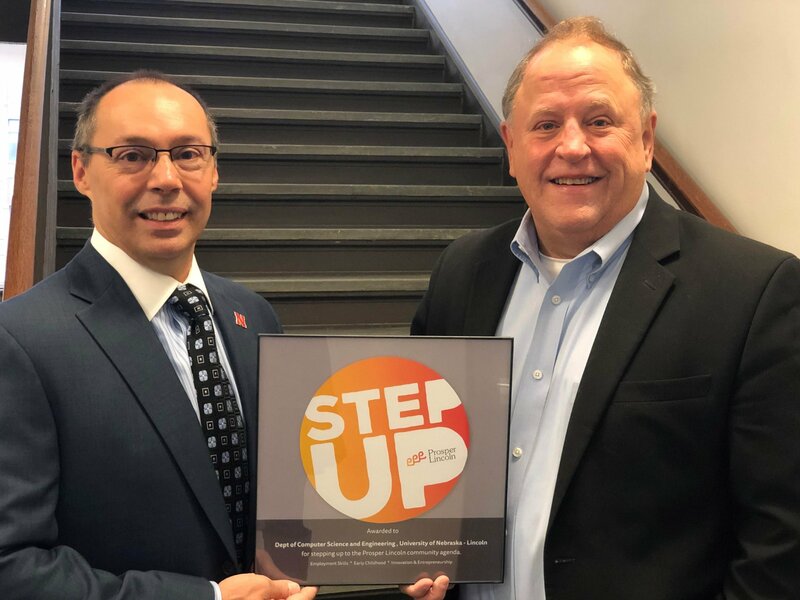 Rich Claussen, Prosper Lincoln’s Ambassador for Innovation and Entrepreneurship, presented the University of Nebraska’s Department of Computer Science and Engineering with the Prosper Lincoln Step Up award. Steve Goddard, Department Chair, and his team, stepped up to take the lead planning and hosting Reverse Pitch and State of the Practice events. The bi-annual events connect students to opportunities in the tech industry in Lincoln.